Brenthem Farm Road, FREDERICKSBURG, VA 22405 (#1002149964) :: Eng Garcia Grant & Co.
A spectacular custom home by Richmond Building Group. Here is a craftsman style home with 4 bedrooms, 3.5 bath, 2 main floor master bedroom suites, an open floor plan with den and a full walkout basement . All built to fit your dream. 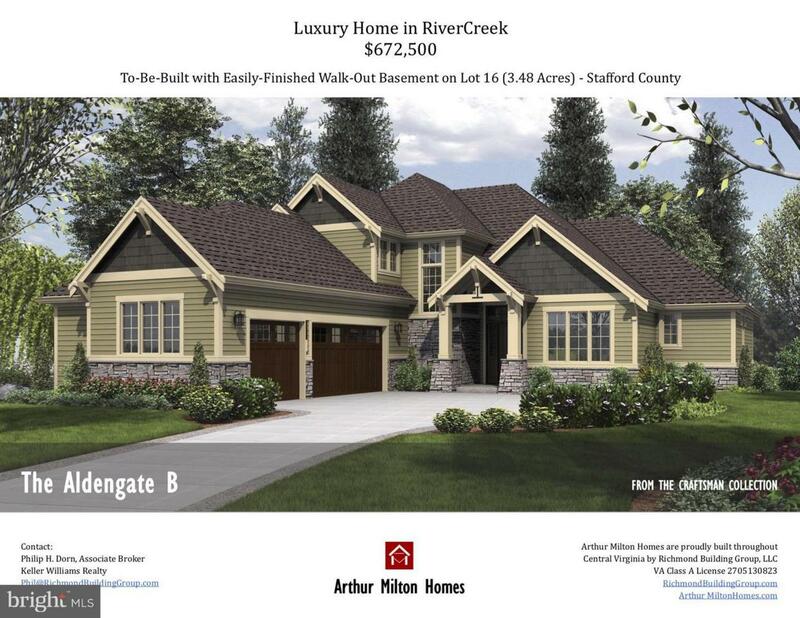 Put over 30 years of experience to work for you in this intimate community with river access and diverse home styles. No "cookie cutter" homes in this neighborhood!